What Songs Are On Clay’s Favorite List? In “The Night Before Christmas,” what were the parents wearing on their heads? At the end of The View on Tuesday, the show flashed the following picture which suggests that Clay Aiken and Ruben Studdard will be on the show on Thursday. I sure hope that is true. I will set my DVR and hope that I can see the show when I get off the plane in Chandler! On December 13, 2012, the Journal Sentinel in Milwaukee published a fun article about Clay Aiken. Clay was about to present his Christmas concert at the Northern Lights Theater, Potawatomi Bingo Casino so the site presented some fun information about Clay in their Tap Milwaukee site. The article was written by Piet Levy who is the Journal Sentinels’s music writer. He has also been published in USA Today, the Chicago Tribune and the Washington Post. The article included a great picture and three wonderful videos. 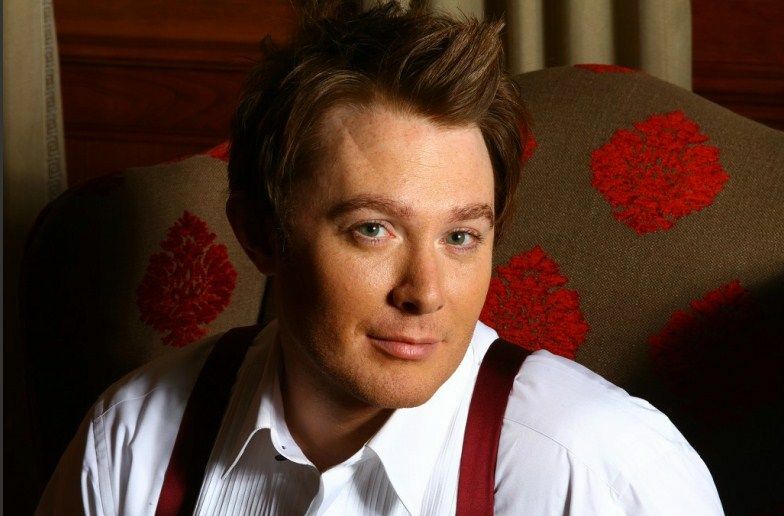 Besides his appearances on “American Idol” and “Celebrity Apprentice,” (on both of which he famously, and unjustly, came in second place), Clay Aiken has earned a reputation in recent years as a musical Mr. Christmas, thanks to the success of 2004 album “Merry Christmas With Love,” (the fastest-selling Christmas album documented by Nielsen SoundScan), and by performing old holiday standards on several different tours across the country. This year’s holiday tour comes to the Northern Lights Theater at Potawatomi Bingo Casino Dec. 16 (local Claymates have already snatched up all the tickets). As he’s done in the past, an orchestra of Milwaukee musicians will provide Aiken with musical backing, and a handful of real-life holiday stories will be shared, including a couple that happened to and will be read by locals. And of course, there’ll be a lot of Christmas songs. We asked Aiken to name his favorites, and while he says they typically “change from minute to minute and day to day,” he said there were three he loves to perform the most. I wonder what three songs Clay would pick today? What are your three favorite “Clay” Christmas songs? The three mentioned are also my favorites, but I do love "Mary Did You Know" Thanks for posting the article and the videos! Circumstances with my mother prevents me for attending the concert in Chandler. Wish to be there! I don’t remember, unless – nightcaps?? Three faves are Silent Night, Little Star of Bethlehem, the First Noel, and Mary Did You Know. I know it’s four but I can’t leave one out. Also loved The Christmas Song by Clay during his play, tho I didn’t like it before even though I was a NKC fan lol. Thanks for heads up re View!! One of my favorites is 'O Come, O Come Immanuel' but the version Clay sings is different than the one we sing in church. I have come to love his version just as much. This morning on the View, it was again announced that Clay & Ruben would be on the show on Thurs. I'll be at the dentist, but will record to program to watch when I get home. I'm so excited to see Clay again. I wonder if they will film the segment earlier, so that Clay can get to AZ in time to rehearse the program. Safe traveling to you and all the others who will attend the concert on Friday. Wish I were going. I still think "Don't Save it All for Christmas Day" would be one of his favorites! Sure hope he sings "Mary Did You Know" at the concert! Hope to see you there, Martha!!! Error: Error validating access token: Session has expired on Tuesday, 21-Aug-18 16:13:01 PDT. The current time is Friday, 19-Apr-19 05:47:09 PDT.